Hedley - Keremeos Cliffs . . . mountain goats, partridges, quail, golden eagles and mountain bluebirds. Viewing is good all year round. Access by paved road. Osoyoos Oxbows . . . ospreys, bobolinks, turtles, herons, songbirds, waterfowl, shorebirds, mule deer and small mammals. Viewing all year long, view bobolinks during April, May and June. Best viewing for turtles is during April, May, June, July, August and September. Access by paved road. Peachland Creek . . . spawning kokanee. Best viewing months are September and October. Access by paved road. Vaseaux Lake . 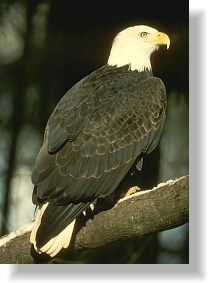 . . waterfowl, songbirds, raptors, shorebirds, reptiles and bighorn sheep. Good wildlife viewing all year round. Reptile viewing best during the months of May, June, July, August and September. Click a number on the map for an enlarged view. Kalamalka Lake Provincial Park. . .raptors, songbirds, marmots, ground squirrels and rattlesnakes. Bird watching all year round. Best viewing marmots and rattlesnakes is from May to end of September. View wildlife in other areas of BC.